There’s a common joke in the philosophy department: could God create a degree so useless even he couldn’t get a job with it? Moses’ and my second meeting – the day we picked him up. I created the Soapbox in 2010 as a personal platform to write and keep busy. I also use it to post copious amounts of photos of my pets on the internet. Should readers gain some knowledge or entertainment from my efforts – bonus! If I can prompt some constructive thought now and again, I’m happy, but if not, I’m ultimately ambivalent. 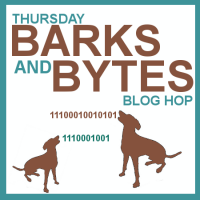 Being a dog owner is something that dominates the Soapbox far more than I originally intended, but I’m prepared to call this a “dog blog” with some off-topic smatterings throughout. 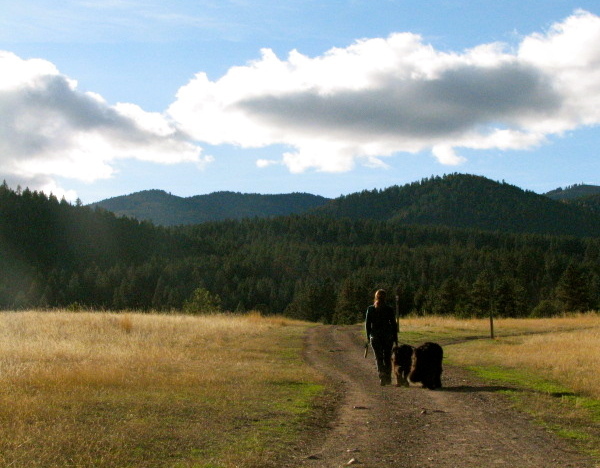 Dog ownership for me began in 2008 when the Husband and I got our first dog, Moses, a Newfoundland. The Husband had always had dogs growing up, but coming from a cat-household, it was a whole new endeavour for me. But I don’t do anything half-assed. 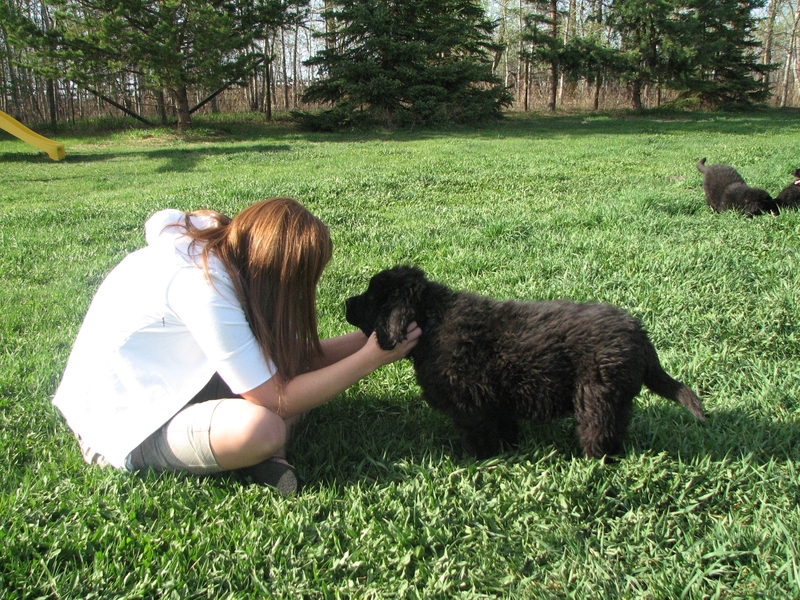 So, in October 2011, we adopted our second Newfoundland, Alma, from a rescue organization in Montana. This blog, its motive, and its contents have changed a lot from my original intentions, and will continue to change from time to time, so I make no warrantees or guarantees with respect to insight, humour, quality or quantity. But I do promise to approve all comments posted (except spam), even if they violently disagree with me. Oh, and we also have two cats who also make occasional cameo appearances on the Soapbox. In sum: thanks for stopping by and I welcome any sort of comment or reply. If you’d like to contact me directly, you can comment somewhere on the Soapbox, email backalleysoapbox@gmail.com, or seek me out on Twitter @ThatJenK. Note: if you’d like to know even more about the writer, see this Meet the Blogger post from December 2013. I am a reported with Metro Calgary. I want to talk with you about banning puppies from pet stores. Please contact me asap at 403-613-5567 or jnolais@gmail.com. We need to form a support group! I have two Master’s degrees (English Lit & ed psych) and I can’t get a job with either! I have a few blogs to occupy my time and so I can pretend I’m a writer. I’m also a Canadian, so we have that in common too. Happy blogging! Writing from the soggy west coast(North Vancouver)and I’m working on my final Documentary for school(Capilano U Doc program).Its about our 2 dogs with the message you are working on too(rescue YES, impulse shop pet stores and wherever NO). You go girl!! we gotta do better by our best furry friends. Hi Jen – Do you have a contact number that I could reach you at? I just signed the ASLC petition and would like to circulate it to a number of people I know. I looked at the http://www.actionsspeakloudercalgary.ca website but did not see the number of signatures that are required to file the petition and what the window of time is. I could not connect to the contact portion of the site so am trying through this avenue. 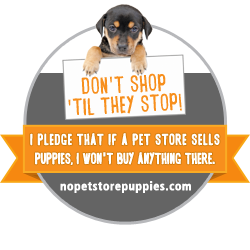 I would love to see the sale of companion animals at retail stores and on-line eliminated and think that if Richmond, BC was successful with this undertaking there is no recent we can not succeed with this mandate in Calgary! 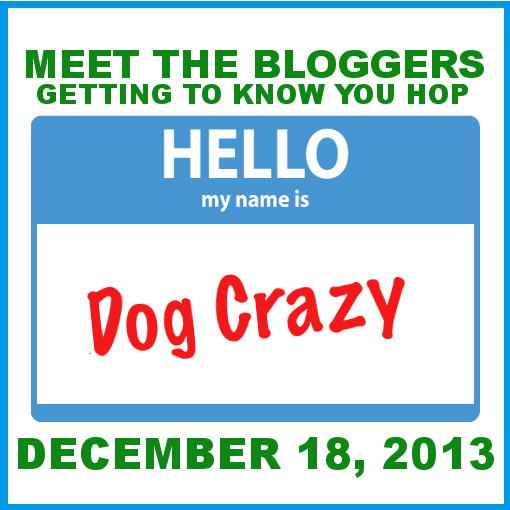 Hi Jen, nice to meet you – I found you through 2Brown Dawgs blog. I love to read anything concerning dogs (or any other animal for that matter). I have a little Shih-Tzu of my own who is the light of my life. I love your dogs and am keen to get to know them, so I have just subscribed. Hi, I love reading about you. I posted a comment and tweeted your Blog for the Change then my words disappeared. Hope they were not lost. I’m on WordPress too. Hi Jen! Can you email me when you get a chance? I’ve got a couple questions about Moses and Alma. I am contacting you because I wanted to ask about a specific page on your website. There is a phrase you used that caught my attention because it covers a subject that is similar to what’s being covered on a website I’m currently working on. The subject that caught my attention was personality test. I was wondering if you would be open to possibly adding a small link to a website that offers quite a bit of addtional information on this subject? In return I could maybe be a sponsor for that specific page by giving you a monetary donation. Please let me know if this is something that might be of interest to you. Whatever you decide, thanks for your time and I appreciate what you’ve done thus far on your website. Take care. Hi Marie – please send me an email at backalleysoapbox@gmail.com with more detail on the site you’re working on. I wanted to tell you that I gave you my Sunshine award today on Barking from the Bayou. I don’t know how you feel about blog awards but i absolutely love your posts and your dogs are the most gorgeous furballs ever! Thanks for bringing me a smile and some sunshine with each post! Despite doing this for several years, I have yet to decide what to do about the awards passed on throughout them. But I am very honoured! What’s a best option to reach you? I’d love to pitch my new app for pets, Woophli, for a possible blog post. I sent an email to the email address you have listed here but got no response. I apologize for not replying yet – I received your email yesterday afternoon and fished it out of the spam folder this morning. I intend to reply shortly, but am not in the habit of doing so without some consideration and a little independent investigative work. Also, I have a job and volunteer hours and stuff and… you know how it goes. I hope it’s okay that I only approved one of your commnets. I will get back to you shortly.